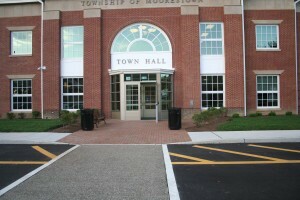 Moorestown Town Council updated the public at its meeting on Monday, March 21 on the interim water treatment plan. At the March 7 meeting, a resolution was approved that would award a contract to Calgon Carbon Corporation for granular activated carbon filters for $376,400, to be used at the North Church Street Water Treatment Plants to help filter the Trichloropropane (TCP 1,2,3) and Trichlorethylene (TCE) found in Wells 7 and 9, as a temporary solution. At that meeting, resident and utility engineer Danielle Brodecki asked if the township received approval from the state Department of Environmental Protection for the carbon filters, as a permit may be required. Township officials said they would look into it. A resident during the public comment portion of the March 21 meeting wanted to know if the permit in question was required. In response, Township Manager Scott Carew read an email from the DEP, saying Moorestown does not require a formal permit application for a temporary treatment facility. Carew also said Moorestown utilities engineer L. Russell Trice had provided everything the DEP asked for, but unfortunately a letter was received back asking for more items. Carew said Trice provided the additional items the Friday before the meeting, and he has not heard of an approval from the DEP as of Monday’s meeting. Last year, Fair Share Housing Center, an organization devoted to defending the housing rights of New Jersey’s poor, feeling Moorestown was not living up to its affordable housing obligations, retained an expert witness who said Moorestown needed more than 1,400 units to be created in the next few years. Moorestown, along with other municipalities, prepared an opinion that was available at the end of last year that requires only 171 units, based on a new calculation by a consulting firm, Econsult Solutions Inc. of Philadelphia. Both are in court over this matter. Charley was concerned Moorestown was not meeting its obligation. She is not sure Moorestown is working to build an inclusive community. “I don’t understand the ongoing desire to exclude working families, veterans and children of better forms of education. I really think it is time for elected officials to check biases at the door and come to believe what Fair Share Housing individuals could bring to this community,” Charley said. Charley would like to work with Moorestown so all people can have fair and affordable housing in Moorestown. Members of the Southern Burlington County NAACP would be willing to help find space, as, according to Charley, it has been said Moorestown doesn’t have the space for more. Councilwoman Stacey Jordan said she feels Moorestown has led the fight, especially with Moorestown Ecumenical Neighborhood Development, a non-profit affordable housing development organization. • Council unanimously approved a proposed ordinance on introduction to install a mid-block crosswalk that connects the Second Baptist Church, 319 Mill St. to the adjacent parking lot. According to Carew, the mid-block crosswalk was approved for the church in 2010. However, council needed to approve the mid-block crosswalk because it is required to be codified. The crosswalk will begin at a point 62 feet north of the northerly curb line of Beech Street to a point six feet north. The second reading and public hearing will take place at the April 11 council meeting. • Moorestown will once again hold a Relay for Life event. The Relay will be held on Friday, June 10 starting at 6 p.m. at the Moorestown High School. To learn more about the event or sign up, visit relayforlife.org/MoorestownNJ.